BRYAN EATON/Staff photo. Though today is the first day of spring, many people may find it hard to believe as colder than normal temperatures continue to grip the region. 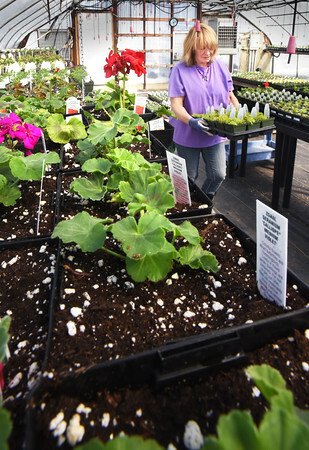 Spring can be found, however, in area greenhouses like this one at Pettengill Farm in Salisbury where Dori Hussey works on custom containers for special orders where it was 80 degrees on Monday.